Many people in the work of the motor is not very understanding, do not know the difference between synchronous motor and asynchronous motor where. 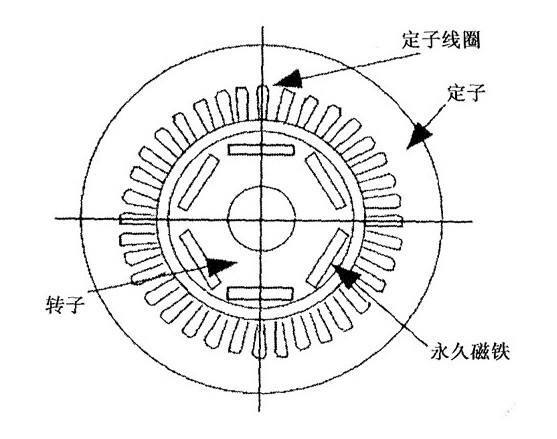 In fact, synchronous motor and asynchronous motor is the biggest difference between the two rotor speed is not consistent with the stator rotation of the magnetic field velocity, if the rotor rotation speed and the stator rotation magnetic field is the same, then called synchronous motor. Synchronous motors, like induction motors (ie induction motors), are a common type of AC motor. Synchronous motor is the heart of the power system, which is a set of rotating and stationary, electromagnetic changes and mechanical motion in one, to achieve the transformation of electrical and mechanical energy components, its dynamic performance is very complicated, and its dynamic performance of the entire power system and dynamic Performance has a big impact. Characteristics are: steady state operation, the rotor speed and the grid frequency constant relationship between n = ns = 60f / p, where f is the grid frequency, p is the number of pairs of motors, ns is called synchronous speed. If the frequency of the grid is constant, the speed of the synchronous motor is constant at steady state regardless of the size of the load. Synchronous motor is divided into synchronous generator and synchronous motor. The exchange machine in the modern power plant mainly uses the synchronous generator. 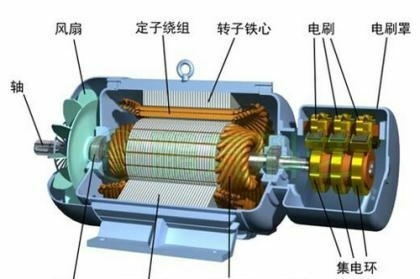 Asynchronous motor, also known as induction motor, is composed of air gap rotating magnetic field and the rotor winding induced current interaction to produce electromagnetic torque, in order to achieve mechanical and electrical energy conversion to mechanical energy of an AC motor. Three-phase asynchronous motors are mainly used for motors, dragging all kinds of production machinery, such as: fans, pumps, compressors, machine tools, light industry and mining machinery, agricultural production in the thresher and grinder, agricultural and sideline products processing machinery Wait. Simple structure, easy manufacturing, low cost, reliable operation, rugged, high efficiency and has suitable working characteristics. Synchronous motor and asynchronous motor reactive aspects of the difference: relative to the asynchronous motor can only absorb reactive power, synchronous motor can be issued reactive, can also absorb reactive! Synchronous motor speed and electromagnetic speed synchronization, and asynchronous motor speed is lower than the electromagnetic speed, synchronous motor regardless of the load size, as long as not out of step, the speed will not change, the speed of the asynchronous motor to follow the load size changes. Synchronous motor with high precision, but complex construction, high cost, maintenance is relatively difficult, while the asynchronous motor although slow response, but easy to install, use, while cheap. So synchronous motors are not widely used in asynchronous motors. Synchronous motors are used in large generators, and asynchronous motors are used in motor applications.